Ok i have my nitrous bottle located Behind my driver seat. I was told by some people that it is illegal to have it located there and if the cops see it they will immediatly impound my car and give me a bunch of fines. But if i tell them i use it for track only or something like that will they still give me trouble? +1. All depends on what your local laws are. just keep a jacket over the bottle or something. K i will, i live in indiana. What is legal on the street vs. track are 2 different things. A blow down tube for track has nothing to do with street, but you should have one anyway. In a variety of ways of thinking about it, any nitrous on the street can be illegal. On a federal level, the most basic rule I can think of to make a bottle illegal is that vehicles carrying high pressure tanks are required to have those square 'nonflammable gas" placards on the sides of the car. I'm sure there are many other ways that it can be thought of as illegal, especially when individual state laws are factored in. But I just say hide it. In Maine it is Illegal to have it connected while on the street. So I gotta say I'm with the guy who said just check your local laws. I am deleting my rear seat in my mustang for weight, and planned to move the bottles into the back seat area, but when I found out that the cops will most likely give me crap about it, I just decided, since my switches are all hidden under the ash tray cover, I might as well just leave the bottles hidden in the trunk to prevent hastle. That might be your best bet. not funny... i just can't find that funny... not with 2 copies of the Candyland board game on your shelf. On one hand, they could get you for transporting a hazardous material/substance without the proper permits. But that could apply to the bottle being in the trunk as well. If they notice there's nitrous in your lines (race-ready) they could make an argument that you've been street racing. It's a very "gray" area. yeah, that's the same as maine's law i mentioned before. im willing to bet that quite a few states do it that way. if it isn't hooked up at the bottle, it isn't illegal on the street. I know at certain tracks in Mi. if the bottle is in the drivers compartment it has to vented to the outside,ie;blowdown tube.I was pulled over once and the cop just asked me about it and I just told him it was unhooked and he never checked. i would just put it in the trunk . no matter what cop you ask they will tell you its illegal . i even had one tell me its" flammable "even though right on the bottle it says its not lol! basically any law enforcement doent like it . i had aclose call once i was pulled over by a state trooper with the bottle on and the pressure guage right in the front reading 1000 psi . i thought i was screwed but he never said anything luckly .just a dumb mistake . blow down tube is required at most tracks, whether it is in the trunk or in the passenger compartment. color me dumb, but wtf is a blow down tube and how do u hook it up? i dont know if my source has any credit to it but i live in ontario, canada and my buddy told me that Nitrous is now legal and is considered a "passing assistant". To get in trouble for carrying nitrous without placards the car would have to contain more than 10 pounds of actual nitrous oxide. I gotta know this @!#$ now. LOL. i cant possibly see that being true. if the car in front of you is going slow enough that you need to pass it, you dont need nitrous to do it. see thats what i thought, but would be kewl now wouldn't it. Um. You obviously live under a rock. It's now federally/provincially prohibited to have a loaded nitrous system, hooked up or not. Disconnected AND empty is the only way to save your bacon (basically, show-only). Very recent law that was just passed. Otherwise, kiss your car goodbye. Here in Ontario, you may have the bottle in the car, just not hooked up, I know this for a FACT. I will dig up the act. Bottle MUST be empty unless specifically exempted for certain events by L.E. I'll go dig up the laws for you. (c) both request the surrender of the driver's licence as provided in clause (a) and order the motor vehicle to be impounded as provided in clause (b). (2) A person who receives a request under clause (1) (a) or (c) shall forthwith surrender his or her driver's licence to the police officer and, whether or not the person is unable or fails to surrender the licence to the police officer, the licence is suspended and invalid for any purpose for a period of 48 hours from the time the request is made, subject to subsection (3). (3) If the driver's licence is issued by another jurisdiction, it is not suspended, but the person's privilege to drive a motor vehicle in Ontario is suspended for 48 hours and subsections (7) to (15) apply as if the suspension of the privilege were the suspension of a driver's licence. (b) be impounded for 48 hours. (5) Subject to subsection (12), the motor vehicle shall be released to its owner from the impound facility upon the expiry of the period of impoundment. (6) Despite an order to impound being made under this section, a police officer may order that the motor vehicle be released to the owner before the expiry of the 48 hours if the officer is satisfied that the motor vehicle was stolen at the time that it was driven on a highway in a race. (7) Every officer who asks for the surrender of a licence under this section shall keep a written record of the licence received with the name and address of the person and the date and time of the suspension and, at the time of receiving the licence, shall provide the licensee with a written statement of the time from which the suspension takes effect, the length of the period during which the licence is suspended and the place where the licence may be recovered. (8) Every officer who orders that a motor vehicle be impounded under this section shall keep a written record of the motor vehicle impounded with the name and address of the driver and the date and time of the impoundment and, at the time of the impoundment, shall provide the driver with a written order that includes a statement of the time from which the impoundment takes effect, the length of the period during which the motor vehicle is impounded and the place where the vehicle may be recovered. (9) There is no appeal or review from a licence suspension or impound order under this section. 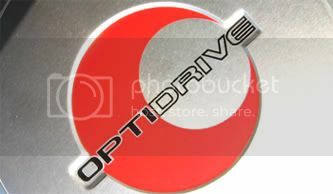 (10) If the motor vehicle of a person whose licence is suspended under this section is at a location from which, in the opinion of a police officer, it should be removed and there is no person available who may lawfully remove the vehicle, the officer may remove and store the vehicle or cause it to be removed and stored, in which case the officer shall notify the person whose licence is suspended of the location of the storage. (11) The costs incurred in moving and storing a vehicle under subsection (10) and the costs incurred by the person who operates the impound facility where a vehicle is impounded under this section are a lien on the vehicle that may be enforced under the Repair and Storage Liens Act. (12) The person who operates the impound facility where a motor vehicle is impounded under subsection (4) or stored under subsection (10) is not required to release the motor vehicle until the removal and impound costs for the vehicle have been paid. (13) The suspension of a licence or an order to impound a motor vehicle under this section is intended to safeguard the driver and the public and to promote compliance with this Act and does not constitute an alternative to any proceeding or penalty arising from the same circumstances or around the same time. (14) The Minister may require that forms approved by the Minister be used for any purpose of this section. (c) exempting any class of persons or class of vehicles from any provision of this section or of any regulation made under this section, prescribing conditions for any of the exemptions and prescribing different requirements for different classes of persons or vehicles. (c) the disconnected parts cannot be reconnected from the driver or passenger seats. (2) A police officer exercising his or her powers under section 82 may take or cause to be taken a sample of any substance from a motor vehicle to determine whether or not the motor vehicle contains nitrous oxide. 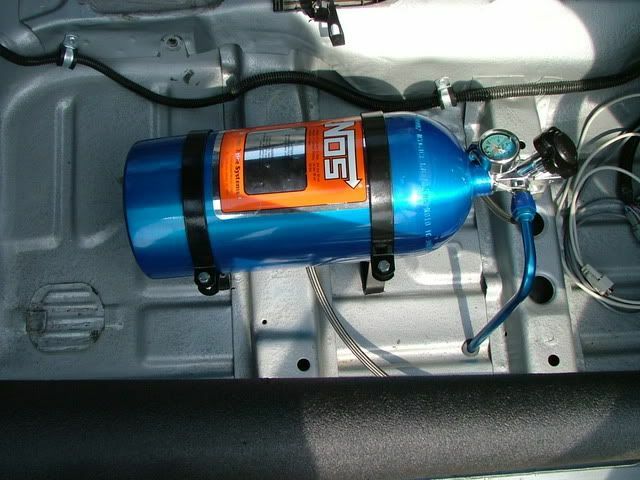 (b) order the driver or owner of the vehicle to remove nitrous oxide, or the part of the nitrous oxide fuel system comprising the canister, bottle, tank or other store of nitrous oxide, from a vehicle and dispose of them appropriately. (4) Service of an order under clause (3) (b) to the driver of the vehicle shall be deemed to be service on the owner of the vehicle. (5) Every person who contravenes or fails to comply with subsection (1) or an order of a police officer under clause (3) (b) is guilty of an offence and on conviction is liable to a fine of not less than $500 and not more than $2,000 or to imprisonment for a term of not more than six months, or to both. (6) The Minister may authorize any person or class of persons to analyze a sample of a substance taken under subsection (2) at the request of a police officer. (7) In any proceeding instituted under this Act, a certificate of analysis of a substance, in a form approved by the Minister, that is issued and signed by a person authorized under subsection (6) is proof, in the absence of evidence to the contrary, of the facts stated in it and of the authority of the person signing the certificate to make the analysis, without other proof of his or her authorization. (8) The Minister may require that forms approved by the Minister be used for any purpose of this section.